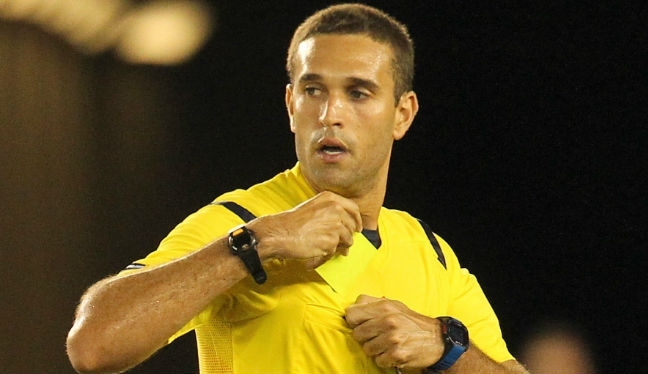 Florida-raised referee Marcos De Oliveira has witnessed the rise in profile of soccer in the Sunshine State over recent years, and he saw the latest development up close when officiating the first game of the Jacksonville Armada era. De Oliveira and his crew took charge of Jacksonville Armada’s first-ever NASL regular season match, with 16,164 fans packed inside EverBank Field – a record crowd in the modern era – and it wasn’t just the Armada fans that were excited in the build-up to the big kick-off. “The match was packed with intensity way before kick-off. From the stadium arrival to kick-off, you could feel the energy coming from everywhere. “Credit to the Armada club for hosting such a great event, it was preparation at its finest. They truly set up the big stage for all to perform at the best of their abilities. This all came with full excitement for the referee crew and I.
Jacksonville were certainly pleased with the outcome, defeating FC Edmonton 3-1, and they made the perfect start when they went in front after just 12 seconds. However, the atmosphere and the early goal didn’t affect De Oliveira or his crew – assistant referees Esteban Rosano and Hassan Belmnahia, or fourth official Patrick O’Brian. “The early goal just added icing to the beautiful atmosphere, but we were well prepared. With a goal being scored 12 seconds in and a tough last-man challenge four minutes later, there were no easy decisions. “Fortunately I felt great confidence from the referee crew in calming everyone down. This allowed the players to stay on their feet and respect each other, which allowed the match to be played out. De Oliveira has also been center referee in the MLS this season, taking charge of Houston Dynamo versus Colorado Rapids in week 4, but the official enjoys his role regardless of the league he is assigned to, and his focus remains the same for every game. “I check my phone 10 times a day waiting for my next contest. I truly enjoy what I do and look forward to becoming 1 per cent better after every match. I try to live my life by a standard goal – it’s not for my bosses to like or want me, but for them to feel it’s necessary to have me. “Every match at the professional level is like a box of chocolates, you never know what you’re going to get. Preparation is vital for our success whatever the contest.